In a visit LIVES team made to Tanzania, we came across a farming system which included crops and livestock components: rice, sunflower, dairy and meat cattle. There are also sunflower oil processors and rice mills in the nearby town that sell by-products (oilcake and rice bran) to traders outside of the district we visited. 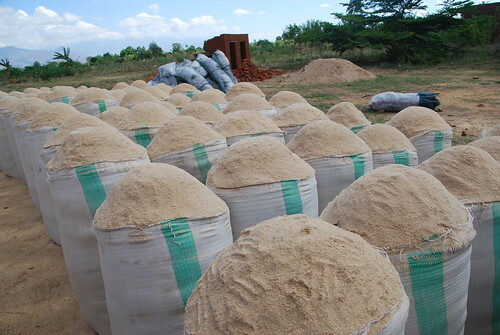 During our discussions with dairy farmers and pastoralists, we learned that possible uses of rice bran and oil cake for dairy or animal fattening is unknown. This reminded me of two similar situations we had come across in IPMS sites in the past.